Current developments in optical technologies are being directed toward nanoscale devices with subwavelength dimensions, in which photons are manipulated on the nanoscale. Although light is clearly the fastest means to send information to and from the nanoscale, there is a fundamental incompatibility between light at the microscale and devices and processes at the nanoscale. Nanostructured metals which support surface plasmon modes can concentrate electromagnetic (EM) fields to a small fraction of a wavelength while enhancing local field strengths by several orders of magnitude. For this reason, plasmonic nanostructures can serve as optical couplers across the nano-micro interface: metal-dielectric and metal-semiconductor nanostructures can act as optical nanoantennae and enhance light matter coupling in nanoscale devices. 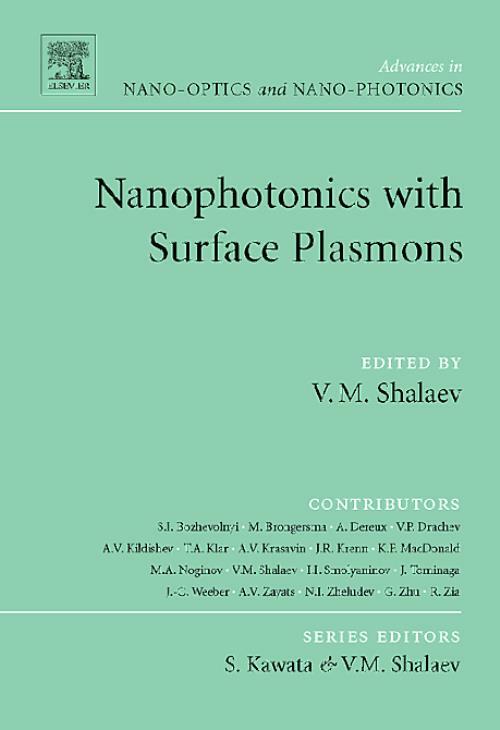 This book describes how one can fully integrate plasmonic nanostructures into dielectric, semiconductor, and molecular photonic devices, for guiding photons across the nano-micro interface and for detecting molecules with unsurpassed sensitivity.